The great British custom of partaking in afternoon tea offers a legitimate excuse to relax, take a break, and catch up with a friend amidst the most comfortable and luxurious settings. Once inside a tearoom, the chaos and noise of the outside world disappears and is replaced with tranquility and elegance. Each year during the holiday season , my friend UCLA Education Professor John McNeil and I try out a new place for afternoon tea. 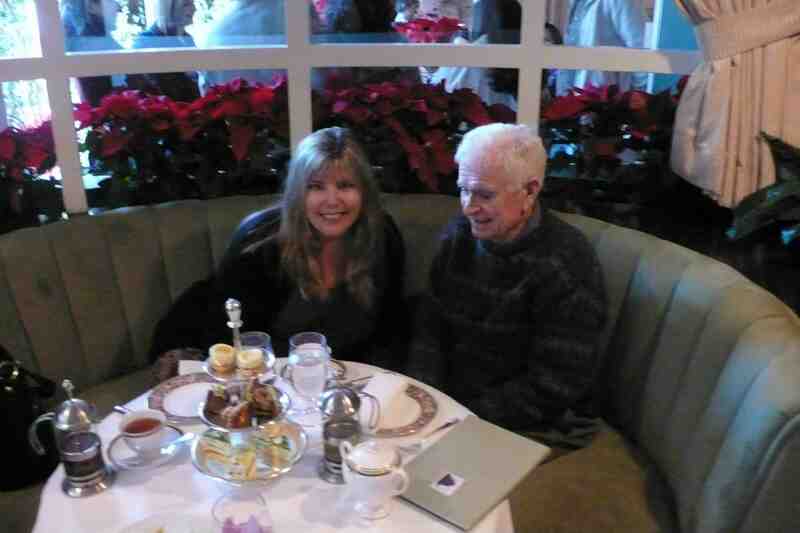 This year we visited the Polo Lounge tea at the Beverly Hills Hotel. The historic Polo Lounge is nestled off the lobby of the pinkish 97-year old hotel (yep, it is almost a century old! ), where the luxurious decor has changed little over the years. The Old Hollywood glamour is intact with large comfy velvet booths, striped walls of dark green and cream, French windows and a dramatic patio with a large oak tree and blooming vines. 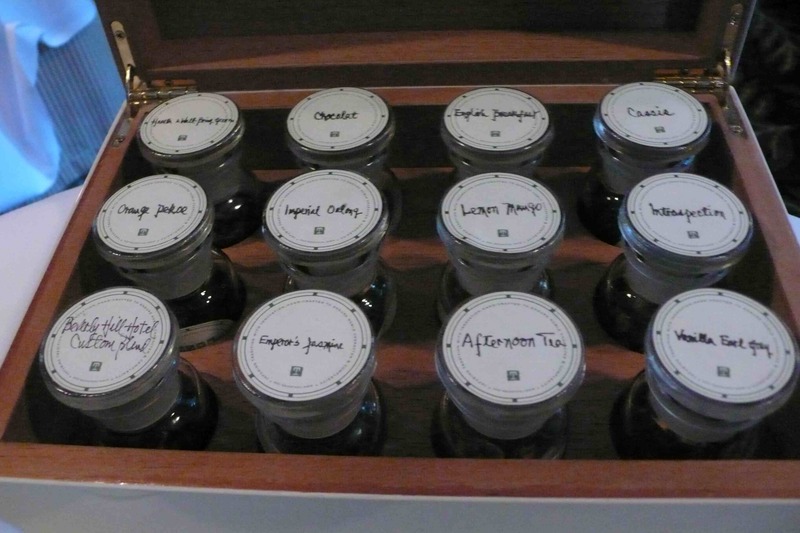 Our tea began with a nice table selection of teas. Our tea was then delivered in individual water pots. 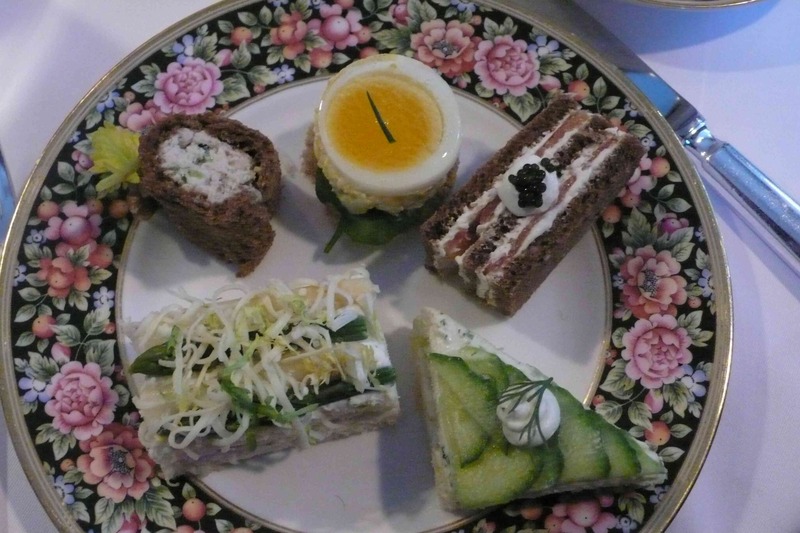 Shortly after, a three tier tray arrived containing egg salad with watercress, chicken salad on marble rye, English cucumber with dill cream cheese, green and white asparagus with bourbin cheese and smoked salmon on pumpernickel with caviar sandwiches. 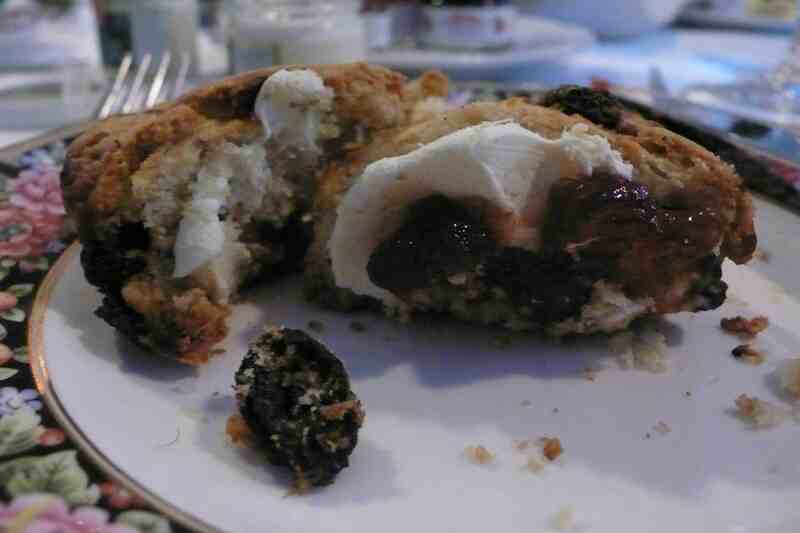 We also received a nice variety of scones which we cut in half and loaded with clotted cream and jam. 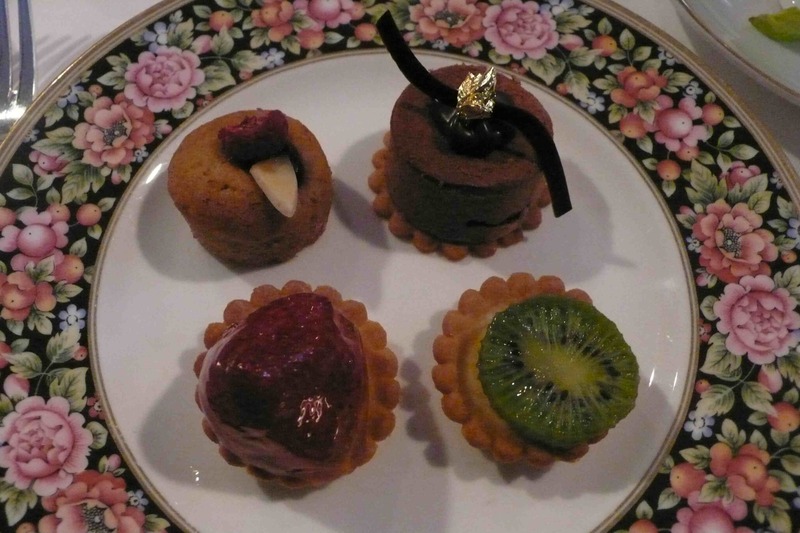 Next came a nice tray of desserts. All were delicious. The chocolate was our favorite. Both of us loved the regal and elegant ambiance, comfy seating and yummy treats. 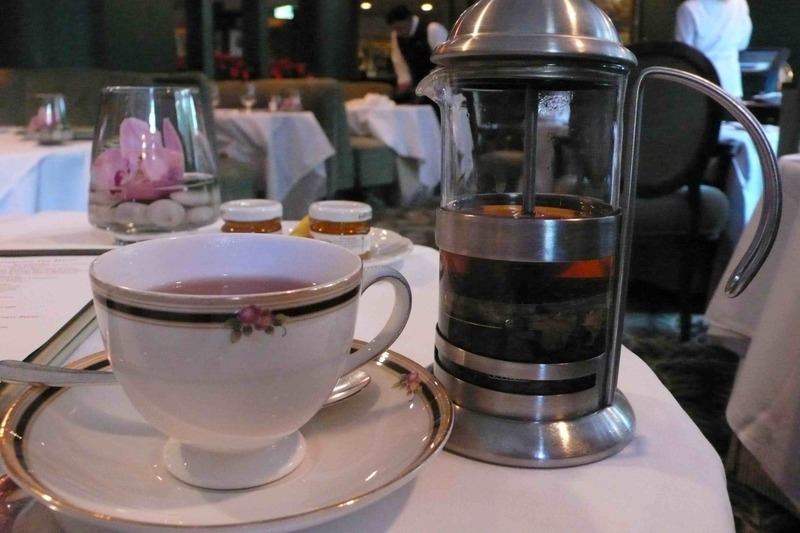 Afternoon tea at the Polo Lounge runs $33 per person.